Manufacturer of a wide range of products which include shrouded dsl busbar conductors, limit switch, marble lifting cranes, dsl current collectors, crane wire rope and c.t couplings. 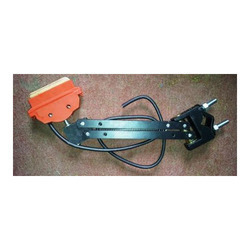 Highly driven by technical excellence, we are noted as the foremost manufacturer, trader and supplier of Shrouded DSL Busbar Conductors. The given product is accessible in numerous stipulations & customized options as per the need of customers. Offered product is high on demand across the market due to its superior quality. This product is developed by our competent professionals by using modern techniques and top grade material in fulfillment with defined industry norms. We are the leading manufactures and suppliers of Shrouded DSL Busbar Conductors in Coimbatore, Mettupalayam, Salem, Tirupur, Pollachi, Trichy, Salem, Erode, Madurai, Tirunelveli , Chennai, Nagarkovil, Kanniyakumari, Tuticorin, Namakkal, Vellore,Theni, Dindugul, Ooty, Kunoor, Valparai, Kodaikanal, Kannur, Kozhikode, Malappuram, Palakkad, Wyanad, Kasargod, Kalpatia, Thrissur, Eranakulam, Iduki, Kootayam, Alapuzha, Kollam, Thiruvananthapuram, Patmanathitta, Kurnool, Anantapur, Cuddapah, Nellore, Chitoor, Prakasam, Guntur, Krishna, West Godaveri, East Godaveri, Vishakapattinam, Chikmangalur, ChitraDurga, Hassan, Tumkur, Mandya, Bangalore, Kodagu, Mysore, Kolar, Tamilnadu, Karnataka, Andrapradesh, Kerala and India..
We at Mega Cranes India (P) Ltd., manufacture and supply Limit Switch for Hoist (Rotary & Gravity), which are designed in such a manner that it suits our customers’ requirements. Our design engineers and a research team carefully study all the details before designing the cranes. Detailed analysis is done, and strategies are decided to ensure optimum design, minimum crane structural weight, wheel loads, headroom and clearances thereby reducing the construction cost. We fabricate EOT Cranes using a premium quality raw materials and latest technology that ensures an availability of design information much faster and quicker with maximum satisfaction of the customers. 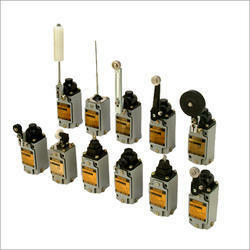 We are the leading manufactures and suppliers of Limit Switch in Coimbatore, Mettupalayam, Salem, Tirupur, Pollachi, Trichy, Salem, Erode, Madurai, Tirunelveli , Chennai, Nagarkovil, Kanniyakumari, Tuticorin, Namakkal, Vellore,Theni, Dindugul, Ooty, Kunoor, Valparai, Kodaikanal, Kannur, Kozhikode, Malappuram, Palakkad, Wyanad, Kasargod, Kalpatia, Thrissur, Eranakulam, Iduki, Kootayam, Alapuzha, Kollam, Thiruvananthapuram, Patmanathitta, Kurnool, Anantapur, Cuddapah, Nellore, Chitoor, Prakasam, Guntur, Krishna, West Godaveri, East Godaveri, Vishakapattinam, Chikmangalur, ChitraDurga, Hassan, Tumkur, Mandya, Bangalore, Kodagu, Mysore, Kolar, Tamilnadu, Karnataka, Andrapradesh, Kerala and India..
We at Mega Cranes India (P) Ltd., manufacture and supply Marble Lifting Cranes, which are designed in such a manner that it suits our customers’ requirements. Our design engineers and a research team carefully study all the details before designing the cranes. Detailed analysis is done, and strategies are decided to ensure optimum design, minimum crane structural weight, wheel loads, headroom and clearances thereby reducing the construction cost. We fabricate EOT Cranes using a premium quality raw materials and latest technology that ensures an availability of design information much faster and quicker with maximum satisfaction of the customers. We are the leading manufactures and suppliers of Over Load Relay in Coimbatore, Mettupalayam, Salem, Tirupur, Pollachi, Trichy, Salem, Erode, Madurai, Tirunelveli , Chennai, Nagarkovil, Kanniyakumari, Tuticorin, Namakkal, Vellore,Theni, Dindugul, Ooty, Kunoor, Valparai, Kodaikanal, Kannur, Kozhikode, Malappuram, Palakkad, Wyanad, Kasargod, Kalpatia, Thrissur, Eranakulam, Iduki, Kootayam, Alapuzha, Kollam, Thiruvananthapuram, Patmanathitta, Kurnool, Anantapur, Cuddapah, Nellore, Chitoor, Prakasam, Guntur, Krishna, West Godaveri, East Godaveri, Vishakapattinam, Chikmangalur, ChitraDurga, Hassan, Tumkur, Mandya, Bangalore, Kodagu, Mysore, Kolar, Tamilnadu, Karnataka, Andrapradesh, Kerala and India..
We, at Mega Cranes India (P) Ltd., manufacture and supply DSL Current Collectors, which are designed in such a manner that it suits our customers’ requirements. Our design engineers and a research team carefully study all the details before designing the cranes. Detailed analysis is done, and strategies are decided to ensure optimum design, minimum crane structural weight, wheel loads, headroom and clearances thereby reducing the construction cost. We fabricate EOT Cranes using a premium quality raw materials and latest technology that ensures an availability of design information much faster and quicker with maximum satisfaction of the customers. We are the leading manufactures and suppliers of DSL Current Collectors in Coimbatore, Mettupalayam, Salem, Tirupur, Pollachi, Trichy, Salem, Erode, Madurai, Tirunelveli , Chennai, Nagarkovil, Kanniyakumari, Tuticorin, Namakkal, Vellore,Theni, Dindugul, Ooty, Kunoor, Valparai, Kodaikanal, Kannur, Kozhikode, Malappuram, Palakkad, Wyanad, Kasargod, Kalpatia, Thrissur, Eranakulam, Iduki, Kootayam, Alapuzha, Kollam, Thiruvananthapuram, Patmanathitta, Kurnool, Anantapur, Cuddapah, Nellore, Chitoor, Prakasam, Guntur, Krishna, West Godaveri, East Godaveri, Vishakapattinam, Chikmangalur, ChitraDurga, Hassan, Tumkur, Mandya, Bangalore, Kodagu, Mysore, Kolar, Tamilnadu, Karnataka, Andrapradesh, Kerala and India..
We at Mega Cranes India (P) Ltd., manufacture and supply Crane Wire Rope, which are designed in such a manner that it suits our customers’ requirements. Our design engineers and a research team carefully study all the details before designing the cranes. Detailed analysis is done, and strategies are decided to ensure optimum design, minimum crane structural weight, wheel loads, headroom and clearances thereby reducing the construction cost. We fabricate EOT Cranes using a premium quality raw materials and latest technology that ensures an availability of design information much faster and quicker with maximum satisfaction of the customers. 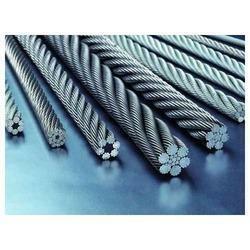 We are the leading manufactures and suppliers of Crane Wire Rope in Coimbatore, Mettupalayam, Salem, Tirupur, Pollachi, Trichy, Salem, Erode, Madurai, Tirunelveli , Chennai, Nagarkovil, Kanniyakumari, Tuticorin, Namakkal, Vellore,Theni, Dindugul, Ooty, Kunoor, Valparai, Kodaikanal, Kannur, Kozhikode, Malappuram, Palakkad, Wyanad, Kasargod, Kalpatia, Thrissur, Eranakulam, Iduki, Kootayam, Alapuzha, Kollam, Thiruvananthapuram, Patmanathitta, Kurnool, Anantapur, Cuddapah, Nellore, Chitoor, Prakasam, Guntur, Krishna, West Godaveri, East Godaveri, Vishakapattinam, Chikmangalur, ChitraDurga, Hassan, Tumkur, Mandya, Bangalore, Kodagu, Mysore, Kolar, Tamilnadu, Karnataka, Andrapradesh, Kerala and India..
We at Mega Cranes India (P) Ltd., manufacture and supply C.T Couplings, which are designed in such a manner that it suits our customers’ requirements. Our design engineers and a research team carefully study all the details before designing the cranes. Detailed analysis is done, and strategies are decided to ensure optimum design, minimum crane structural weight, wheel loads, headroom and clearances thereby reducing the construction cost. We fabricate EOT Cranes using a premium quality raw materials and latest technology that ensures an availability of design information much faster and quicker with maximum satisfaction of the customers. 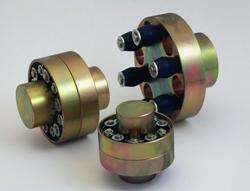 We are the leading manufactures and suppliers of C.T Couplings in Coimbatore, Mettupalayam, Salem, Tirupur, Pollachi, Trichy, Salem, Erode, Madurai, Tirunelveli , Chennai, Nagarkovil, Kanniyakumari, Tuticorin, Namakkal, Vellore,Theni, Dindugul, Ooty, Kunoor, Valparai, Kodaikanal, Kannur, Kozhikode, Malappuram, Palakkad, Wyanad, Kasargod, Kalpatia, Thrissur, Eranakulam, Iduki, Kootayam, Alapuzha, Kollam, Thiruvananthapuram, Patmanathitta, Kurnool, Anantapur, Cuddapah, Nellore, Chitoor, Prakasam, Guntur, Krishna, West Godaveri, East Godaveri, Vishakapattinam, Chikmangalur, ChitraDurga, Hassan, Tumkur, Mandya, Bangalore, Kodagu, Mysore, Kolar, Tamilnadu, Karnataka, Andrapradesh, Kerala and India..
We at Mega Cranes India (P) Ltd., manufacture and supply Brake Drum Couplings, which are designed in such a manner that it suits our customers’ requirements. Our design engineers and a research team carefully study all the details before designing the cranes. Detailed analysis is done, and strategies are decided to ensure optimum design, minimum crane structural weight, wheel loads, headroom and clearances thereby reducing the construction cost. 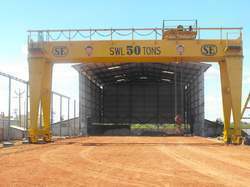 We fabricate EOT Cranes using a premium quality raw materials and latest technology that ensures an availability of design information much faster and quicker with maximum satisfaction of the customers. 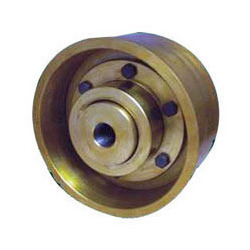 We are the leading manufactures and suppliers of Brake Drum Couplings in Coimbatore, Mettupalayam, Salem, Tirupur, Pollachi, Trichy, Salem, Erode, Madurai, Tirunelveli , Chennai, Nagarkovil, Kanniyakumari, Tuticorin, Namakkal, Vellore,Theni, Dindugul, Ooty, Kunoor, Valparai, Kodaikanal, Kannur, Kozhikode, Malappuram, Palakkad, Wyanad, Kasargod, Kalpatia, Thrissur, Eranakulam, Iduki, Kootayam, Alapuzha, Kollam, Thiruvananthapuram, Patmanathitta, Kurnool, Anantapur, Cuddapah, Nellore, Chitoor, Prakasam, Guntur, Krishna, West Godaveri, East Godaveri, Vishakapattinam, Chikmangalur, ChitraDurga, Hassan, Tumkur, Mandya, Bangalore, Kodagu, Mysore, Kolar, Tamilnadu, Karnataka, Andrapradesh, Kerala and India.. 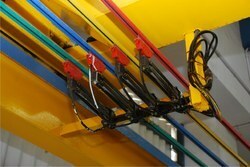 Looking for Cranes Spares ?